If you’re looking for something guaranteed to please your family this week for dinner, I’ve got you covered! 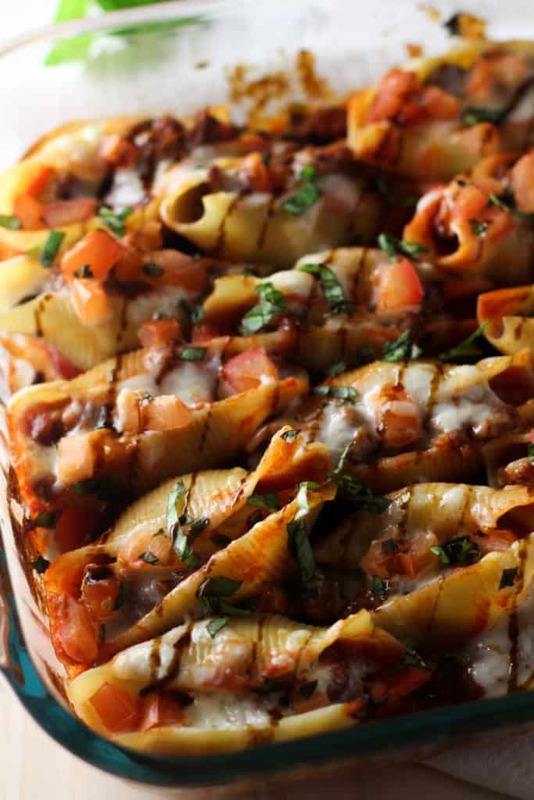 These Sausage Caprese Stuffed Shells are so easy to throw together and full of flavor. 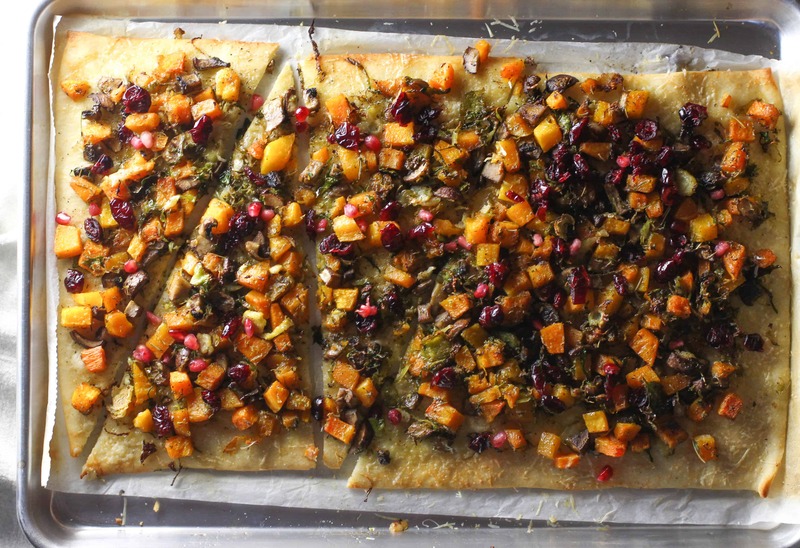 The best part is that you can pick up all of the ingredients at your local Giant Food Store! 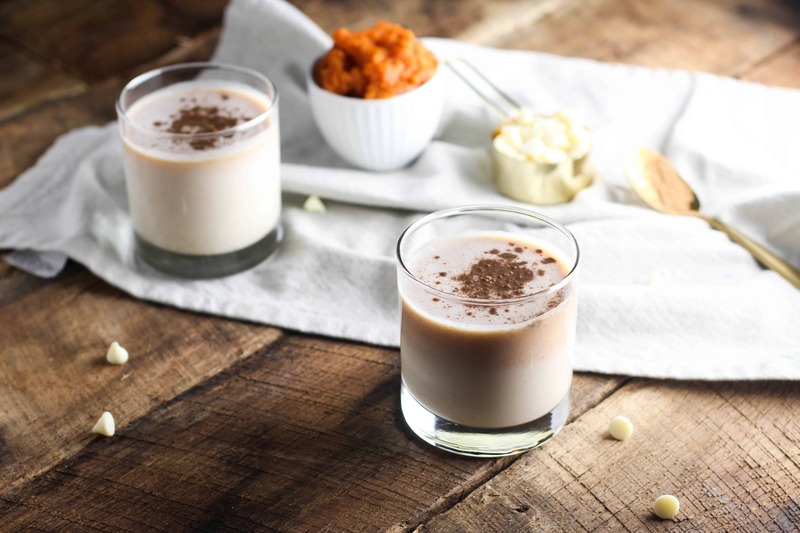 I love using these ingredients separately so how can you go wrong putting them together! With fall upon us and the last of my garden harvest ready to eat, one of my favorite things to eat is a great caprese salad. Since it’s a little chilly I wanted to mix my favorite pasta dish with my favorite summer dish. I love stuffed shells, but I think they can be a very heavy dish. I wanted to lighten it up by only using Galbani Low Moisture Mozzarella Cheese on top. 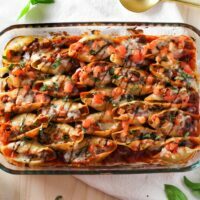 When I made it there was extra cheese so I definitely recommend putting in some of the shredded cheese in the bottom of each shell as well as on top. No one said there was such a thing as too much cheese, right?! Barilla Pasta is my go-to because it cooks perfectly al-dente everytime which means you know everyone at your dinner table will love it. The best part is that it’s right on the front of the box so you can’t get it wrong! 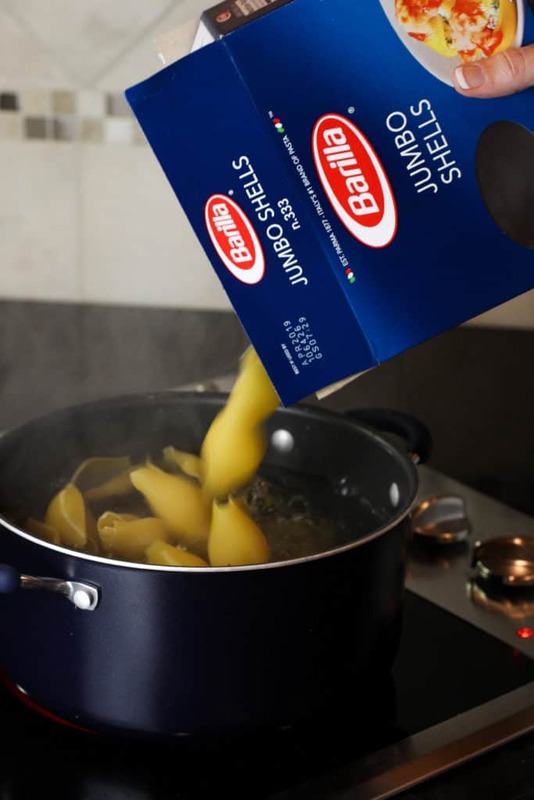 Be sure to head over to barilla.com to find more quick and easy meals that your family will love. I love using the Mild Johnsonville Italian Sausage Links for this recipe. They are full of lots of spices and flavors so I didn’t have to add much more to the sauce. You can always try the Sweet or Hot varieties if you want to change it up! I added some fresh basil to the tomato sauce and sausage mixture to bring in more of the caprese flavors. Let it simmer together to really build up more of the flavors. Cutting the sausage into quarters will make them pretty small and they’ll fall apart a little more during the cooking process. This will help fit them into the shells so no worries if they don’t perfectly stay together! I also recommend letting the sauce cool before trying to add the stuffing into each shell so you don’t burn yourself if you spill a little! And this Galbani Low Moisture Mozzarella Cheese… you guys. I love it. I always have such a hard time finding mozzarella that is easy to shred, but this is a game changer. It comes in a cylindrical shape and the low moisture makes it easy to shred. I used the larger size of my cheese grater and was in love with the large shreds of mozzarella that kept falling off. This made it easier to stuff in the shells… and to eat right from the grater. Baking it all together just makes your whole house smell amazing. I topped a little extra of the fresh basil on top along with some balsamic glaze just to really bring in those caprese flavors. It’s such an easy meal to throw together! 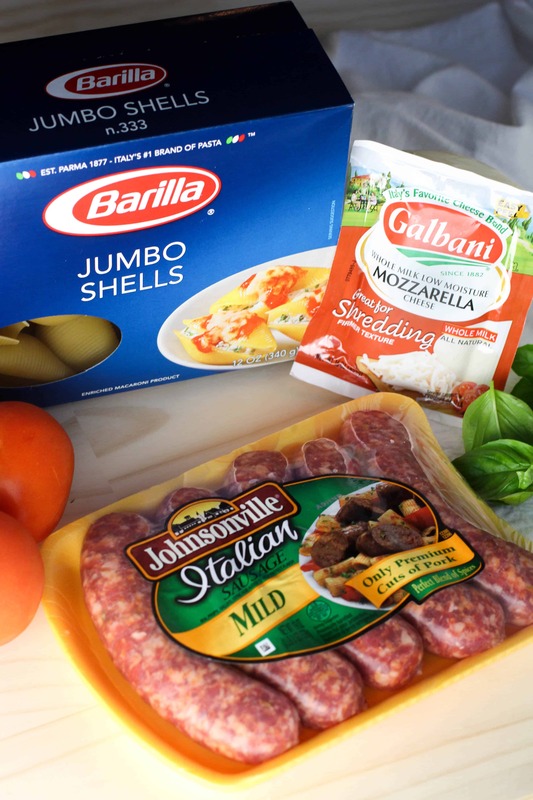 When you stop by your nearest Giant Food between 10/21-10/27 and purchase Barilla Pasta, Johnsonville Italian Sausage and Galbani Cheese, you’ll automatically save $3 at checkout with your store loyalty card! While supplies last. I really can’t recommend this dish enough. It’s a lighter version of stuffed shells and full of flavor! 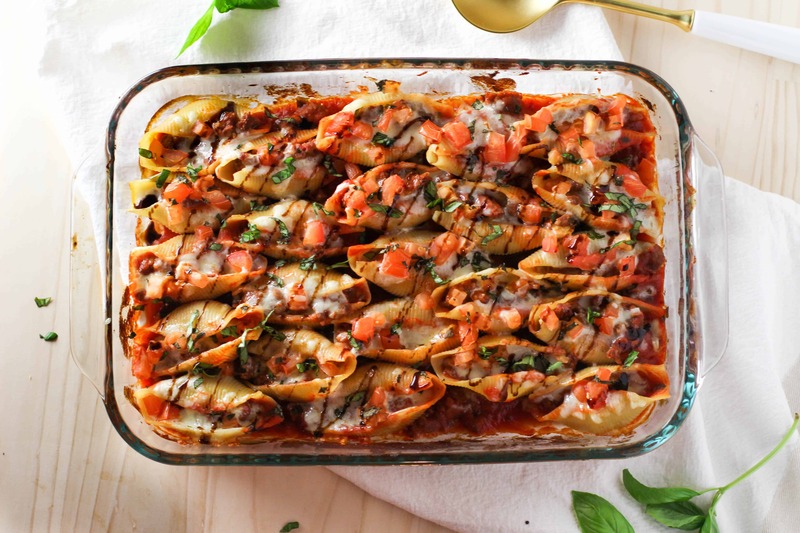 These Sausage Caprese Stuffed Shells are full of flavor and easy to make! Preheat oven to 375F. 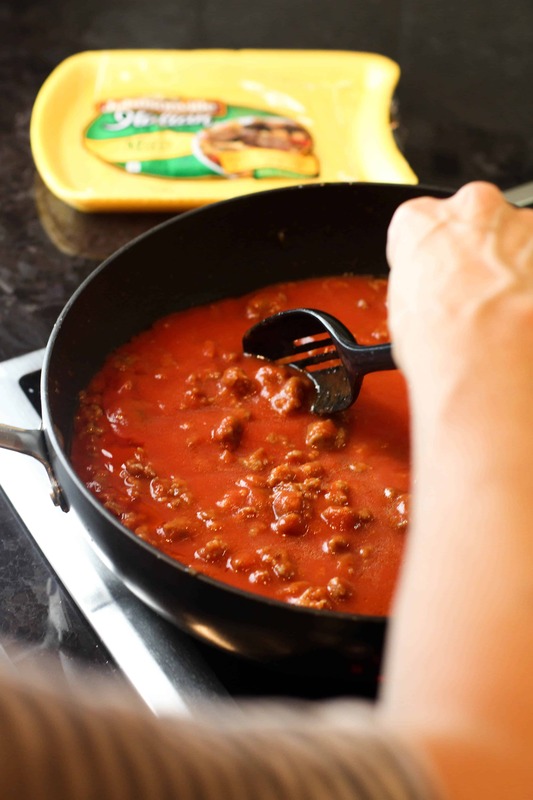 In a 9x13" glass pan, spread 1/3 cup of the crushed tomatoes around the bottom. Cook shells according to the box and set aside. While the shells are cooking, cook the cut sausage links in a large skillet until done and no pink is shown. Add in the remaining crushed tomatoes and 2 tbsp of the fresh basil. Let simmer 5 minutes. Set aside to cool. 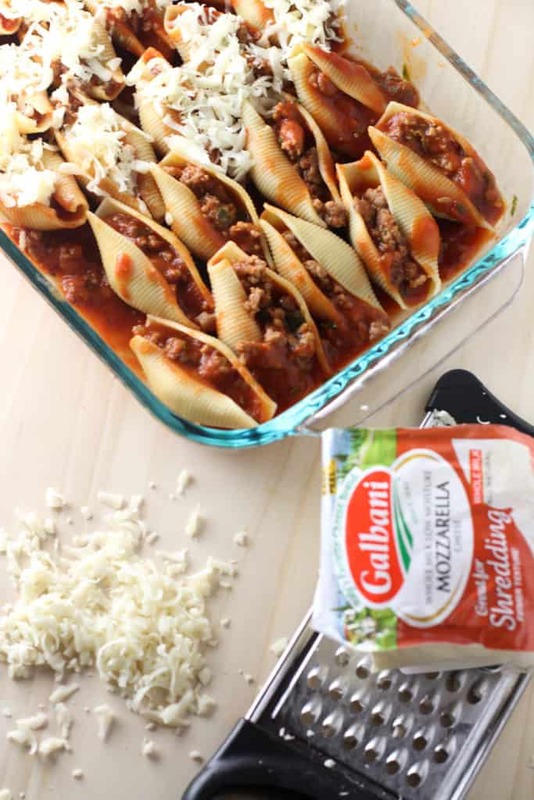 Add 2 tbsp of the sausage filling to each of the shells and add to the glass pan. 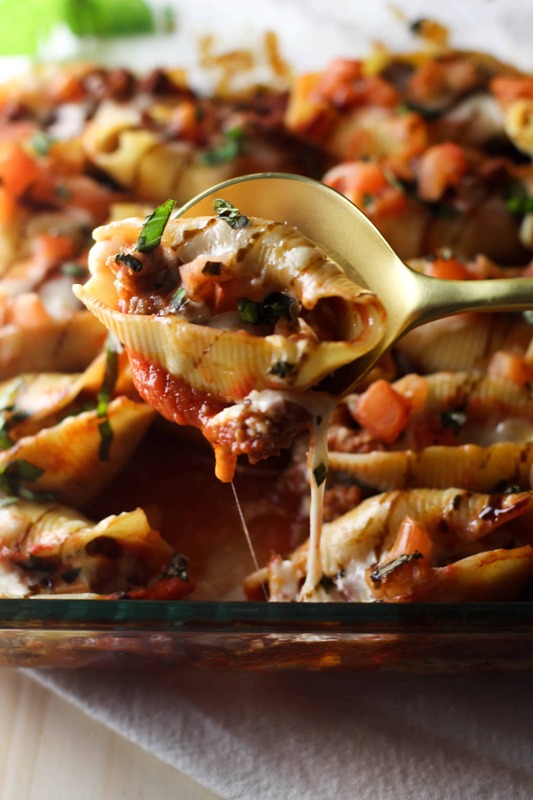 Add shredded cheese and diced tomatoes to top each shell. Bake for 20 mins. Top with the remaining basil and balsamic glaze. Serve warm and enjoy!